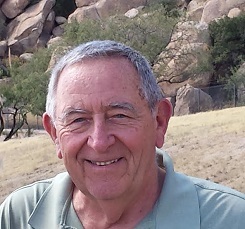 A member of the Writers’ League of Texas for three years, John Payne lives in San Antonio. John Payne: General fiction, as well as sci-fi and fantasy. JP: Lee Child – When is Jack Reacher going to suffer a serious, incapacitating injury? Scribe: If you were stranded on a deserted island, what book would you wnat to have with you to keep you sane? JP: Bill O’Reilly and Martin Dugard’s Killing Jesus: A History. JP: Tips on how to develop characters. JP: Moving solely into fantasy or historical romance. Scribe: Here at the Writers’ League, we love sharing book recommendations. What’s one book that has come out within the past year that you couldn’t put down? JP: I recommend Vince Flynn’s Order to Kill (co-authored by Kyle Mills). JP: I write on what I have most experienced – even in the fiction and fantasy works. I value my credibility.